Transmission grids are one of the biggest bottlenecks to growing the world’s share of wind and solar power. Transmission networks built to push power from central power plants at steady outputs, along undisturbed paths, aren’t well suited for cutting back or increasing throughput to match the intermittent generation coming from big wind and solar farms. Oakland, Calif.-based startup Smart Wires says its technology could help open up these bottlenecks. That, in turn, could help reduce renewable energy curtailments, alleviate the cost and complexity of multi-state transmission upgrades, and allow renewable power plants to serve more distant customers. At least, that’s the long-term vision. So far, the Georgia Tech spinout, formerly named Smart Wire Grid, has tested its technology with the federal Tennessee Valley Authority and Southern Company subsidiary Georgia Power, with results that indicate it can do what it promises. Last month, it launched testing with Irish transmission system operator EirGrid -- and earlier this month, California utility Pacific Gas & Electric announced a pilot project that appears to be using Smart Wires’ technology. Smart Wires’ key innovation is its PowerLine Guardian -- a device similar to a current transformer with on-board computing and cellular connectivity that mounts directly on transmission lines and adds impedance as needed to “choke” the flow of electrons through overloaded lines and redirect it to other transmission corridors. Its first test was with TVA, which installed 100 of these devices across about 20 miles of 161-kilovolt transmission lines. The startup debuted the results of its TVA pilot at the 2013 ARPA-E Energy Summit outside Washington, D.C., as part of a showcase of the Department of Energy research program’s early success stories. It has raised a $10 million series A round and an $18 million series B round from investors including RiverVest Venture Partners, Arnerich Massena & Associates, 3x5 Special Opportunity Fund, and Jane Capital Partners, and also received nearly $4 million from ARPA-E as part of its Green Electricity Network Integration (GENI) program. The next test with Georgia Power started in 2013, with 33 units installed on two 115-kilovolt transmission lines and run continuously for 16 months. According to a January 2015 report, all but two of the devices were still operational at the end of the test, and they successfully demonstrated their ability to control power flow as modeled before installation -- results that led Georgia Power to double its fleet of the devices last year. The goal was to prove the technology could be integrated into existing or new transmission networks, and help bring a new solution to managing the transmission of power across a potentially overloaded system, according to Michael Grabstein, Smart Wires' solutions engineer. Today, grid operators facing an overabundance of transmission-constrained generation have essentially two choices: build new lines to carry it to the loads that need it, or curtail the generation -- that is, shut it down. These problems are already happening today in places such as West Texas and the Pacific Northwest, where grid operators have been forced at times to curtail wind power because they’re generating more electricity than the system can safely transmit at the time. “That’s currently the only way utilities can maintain reliability -- and that’s giving up the economics of utilizing the cheapest energy,” Grabstein said. With the Smart Wires devices in place, by contrast, “we would push power from the overloaded line to the under-utilized lines, and increase the total system capacity,” he said. 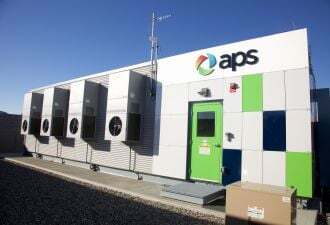 The devices are built to function autonomously to reduce loading on circuits when they reach certain triggers, or through the startup’s software to act in coordination with utility control centers, he said. While the guardian devices can “choke” power on a line, Smart Wires' next product, the PowerLine Router, is aimed at directly increasing the throughput of underutilized lines, Grabstein added. Today, some of that functionality is performed by series capacitors, but “a synthesized capacitance has huge benefits over a traditional series capacitor,” he said. Those include the ability to filter harmonic distortion, improve stability, and mitigate, rather than induce, sub-synchronous resonance. Today’s transmission grids do have technologies like phase-shifting transformers or flexible alternating current transmission systems, which can perform some similar functions, Grabstein said. But they’re big and complex machines sited at substations serving the highest-voltage power lines, whereas the Smart Wires devices work well on networks at and below 230 kilovolts, and avoid any single point of failure, he said. Advances in wide-area communications, materials science and power electronics over the past decade or so have been an important part of why this kind of technology has only now begun to emerge as a viable alternative to business as usual on the transmission grid, he said. But the other piece to the puzzle has been the changing landscape for transmission grid operators, he said. “The proliferation of renewables, the environmental pressure to retire baseload power plants, sort of created the opportunity,” he said. “Whereas in the past, you...solved the problems with brute force,” today’s grid economics are making that a much more challenging proposition. Simply put, U.S. electricity demand is flattening, which means that the rate increases through which grid upgrades are traditionally financed are becoming harder to justify. What generation growth is taking place is coming from wind and solar power, which brings increased variability in power output -- but it’s hard to get ratepayers to spend money building brand new power lines that may only be required to deliver power for relatively rare peaks in generation. 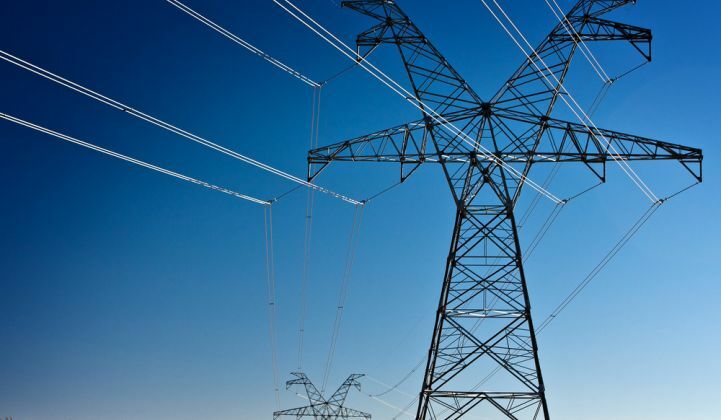 The U.S. Energy Information Administration has tracked an uptick in transmission grid spending over the past decade, largely to boost resiliency after the 2003 blackout in the U.S. Northeast, as well as to help carry power from Midwest wind farms to population centers. But that investment is set to fall over the remainder of the decade, according to The Edison Electric Institute. The kind of flexibility that Smart Wires is promising could help reduce the “brute-force” transmission capacity requirements used in today’s transmission planning, Davis noted. For example, Ireland’s EirGrid, which is dealing with a lot of wind power, is examining how it could use the startup’s technology for “primarily eliminating or avoiding building new lines,” he noted. Davis said that the company is hoping the next step into commercialization will be a “system-wide deployment,” involving the startup’s technical assistance in doing a system-wide analysis, and then applying its technology to those projects where it can help reduce costs and improve efficiency and safety. 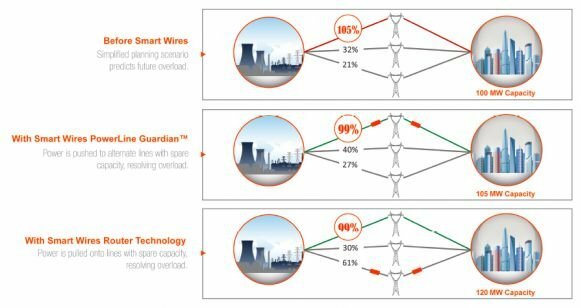 Making changes in the world of transmission grids takes a lot of time, of course -- but on that schedule, Smart Wires could be considered as closing in on the finish line.